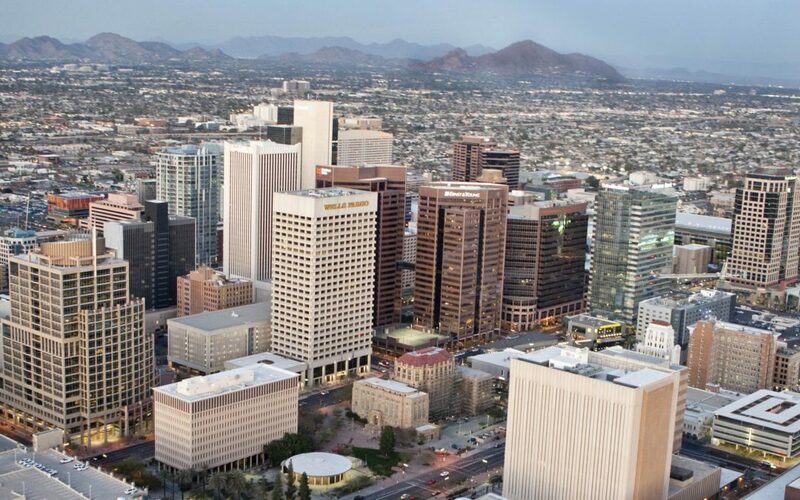 PHOENIX, ARIZ. (January 8, 2018) — The Arizona chapter of NAIOP, a prominent commercial real estate voice in the state, forges into 2018 with new leadership and an ambitious public policy agenda. In November of 2017, NAIOP Arizona named Suzanne Kinney as its new president. Kinney says the organization expects 2018 to be another strong year for commercial real estate in Arizona. Priorities include opposing new and reducing existing taxes, fees and regulations that increase costs for the commercial real estate industry; retaining recent property tax reform and supporting further actions to make Arizona more economically competitive; and maintaining important economic development tools. NAIOP Arizona will continue working to reform the Government Property Lease Excise Tax (GPLET) to ensure the tool remains available and is appropriately applied to encourage high-value urban development. Other issues NAIOP Arizona supports include streamlining and improving fairness in the sales tax system; advancing educational outcomes and workforce preparedness; and modernizing transportation infrastructure. “NAIOP Arizona will also be monitoring a number of issues that impact economic development and the ability of commercial real estate to contribute to a vibrant economy in Metro Phoenix area and throughout the state,” Kinney said.